Complete this form to start your certification process. At the end of the application, you will be able to either pay your $100 application/testing fee online or you can choose to receive an invoice you can submit to your hospital for payment. Once you have submitted your application, the Certification Chair will contact you. At the end of the application, download list of Checklist/Certification Items. Submit application and requested items along with $100 check or pay by credit card on line. Certification Chair receives application, requested documents and application fee. If documents and application meet the criteria for certification, Certification Chair sets up applicant to take the proctored Certification Exam. 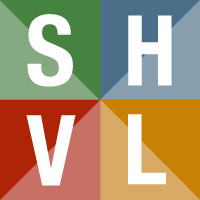 Note: proctored exams may also be taken at SHVL conferences. Applicant and Exam Proctor will receive an email with information on how to access the online examination. Once applicant completes the examination, Certification Chair scans documents and completed examination and sends to committee members for review along with a Grading Sheet for them to complete and return within specified time. Once grading sheets are returned to Certification Chair, the applicant is notified if they have achieved certification.